Everything is working well of the order,hope will have further cooperation with your company in the near future. Samples look very nice,we have tested them and we think that they're good quality,can meet our needs,thanks! It's so happy to work with your company,good quality product and good service,my customer likes your items,thank you so much! 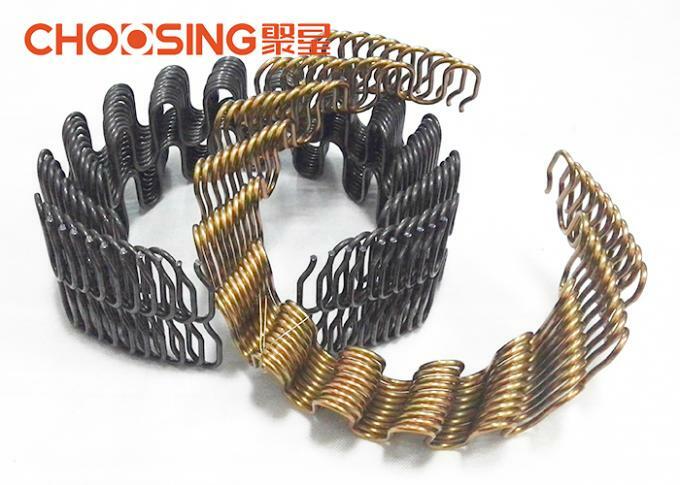 High tensile strength wire spring, perfectly tempered. Higher gauge springs have thinner wire. Can be cut with bolt cutters. Ready to use. Maximum resiliency is obtained when a convex spring arc height is between 2 and 2 1/4 inches. This is the 'rise'of the spring over the frame mounting point. If you wish to add height to an exisiting spring, use a hinge link at the back of the frame. Spring ends should be cut so that both end face the same direction. When measuring to cut, if the desired length means the ends would face opposite, go to the next longer, not shorter, bend. Sinuous springs, also known as sagless or zig-zag, are the most common low profile springs. Although the shape may lead you to think otherwise, they do depend on compression for the spring effect. A solid and sturdy frame is required to bear the stresses, from the front to back rail and top to bottom rail pull of these springs (occasionally reinforcing is required). 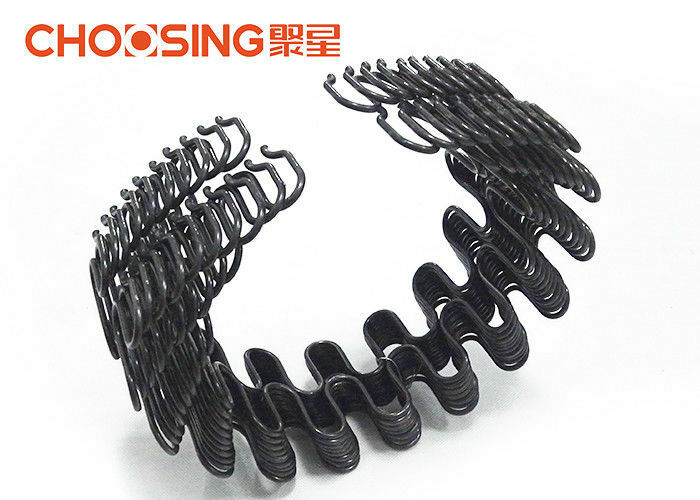 Zigzag spring by coil, make of high carbon steel wire. 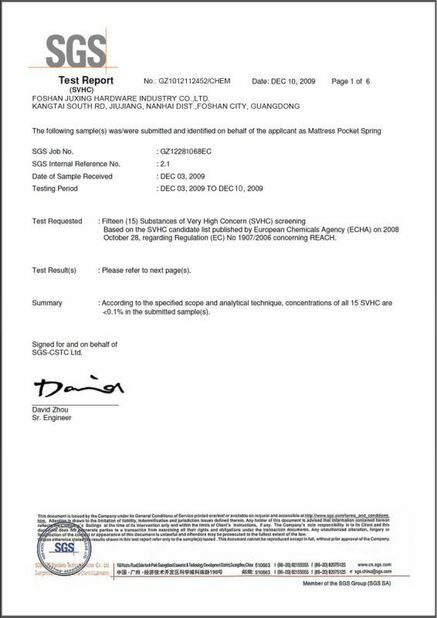 Advanced manufacturing and testing equipment ensure nice quality. It can be cut by different sizes to meet various new styles of sofa and chairs. 1. High quality, no defective. 3. Easy and quick fitting or install. 4. Professional design team provide you own custom package. 5. Can be made with different wire diameter to fit for the different usage demands. 6. Antirust treatment,surface of the spring was processed with the enviromental paint. 7. Passed the fatigue test,can reach exceed 20,000 times not out of shape. Generally speaking,for the customised size,we ask for the MOQ of each size is 4000PCS,for our standard size,we ask for the MOQ of each size is 2500PCS.If you have special printing design on the packing bag,there will be MOQ of bag requested and extra fee,but it can be negotiated,need to according to your order quantities. 1. Shipped by LCL / FCL. 2. Goods will be shipped in 5 - 15 days after receiving the deposit. 3. If trade in FOB / CIF term,goods will be shipped from Guangzhou / Shenzhen port. 4. If trade in EXW,goods will be loaded in factory or if you need us send the goods to appointed loading place,it's also ok,but maybe will have extra fee. Normally,our standard packing is 300pcs or 500pcs per bag,packed with green knitted bag.We can pack different quantities per bag as your request,but we don't suggest total weight per bag exceeds 30kgs.We also can pack the goods will plywood carton,but there will be extra packing fee. 1. EXW term - 30% deposit paid after the order confirmed,70% balance paid before delivery. 2. FOB & CIF term - 30% deposit paid after the order confirmed,70% balance paid against the copy of documents. A: We are manufacturer,could provide competitive price with high quality. 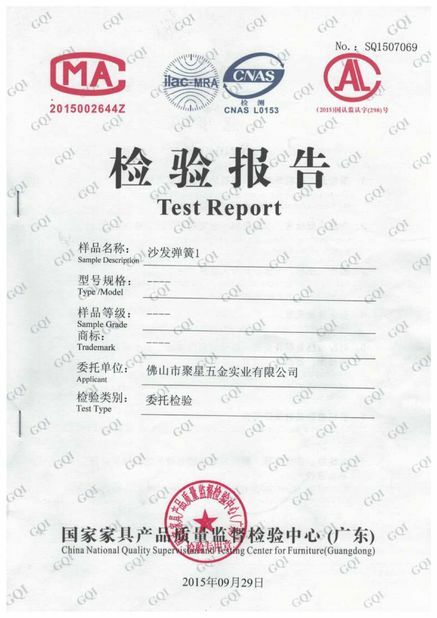 A: we have QC in each production process, we pay more attention on quality. A: yes, you can customized for the surface, logo, package, we are very welcome. 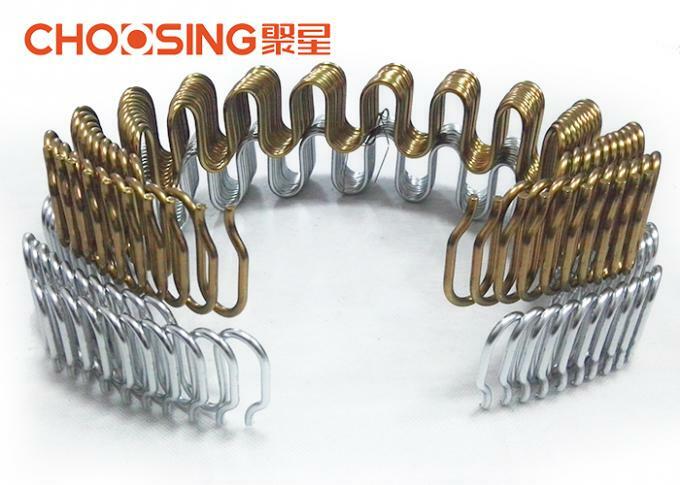 China Good Quality Upholstery Zig Zag Springs Supplier. Copyright © 2018 - 2019 upholsteryzigzagsprings.com. All Rights Reserved.